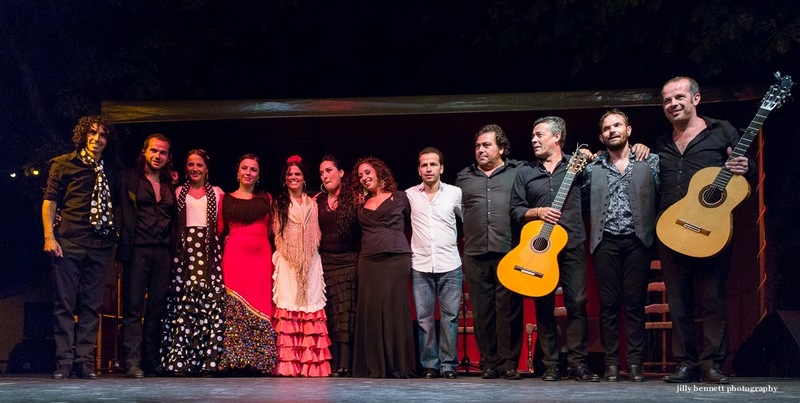 Curtain call for the artists on the first night of the flamenco. The second photo shows the curtain call on the last night, which featured all the artists together. Le rappel des artistes à la fin de la première soirée du flamenco. La seconde photo est celle du rappel de la dernière soirée qui présentait tous les artistes rassemblés. 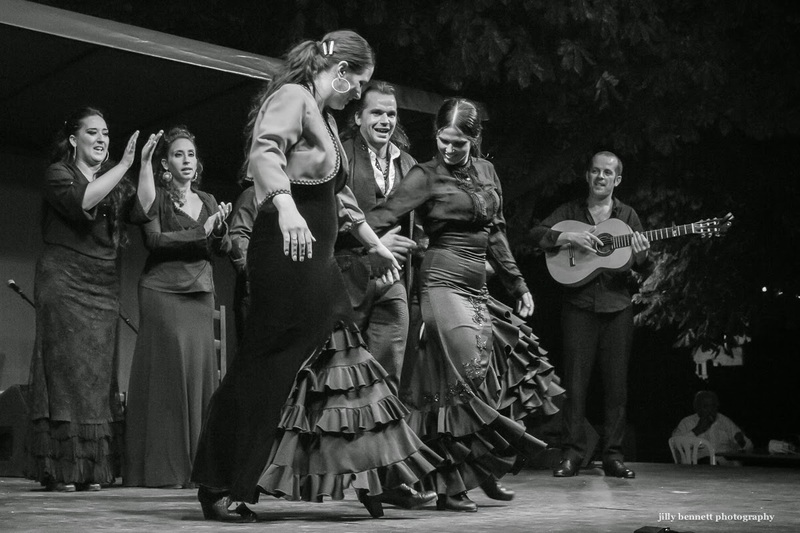 I love these images of the Flamenco Gorbio that you've shared with us. Such fire and energy, I can almost hear the music! I hope to attend one day. Thank you! A wonderful series, Jilly. I've enjoyed the energy of these performers. I so wish I could have seen and heard this but Gorbio will still have it's charms when we get there in a few days. Can't wait. Le Weekend Africain - Fly!